Where does Daywalker - The Beginning rank among all the audiobooks you’ve listened to so far? 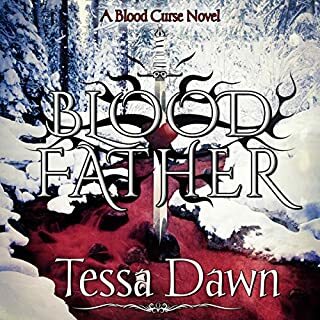 I put it up there with the other Tessa Dawn works as ranking high. I enjoyed Lacey's determination and fearless desire to seek out the nightwalker. Even though it was serious, I enjoyed the humor in times of crisis also. Emily brings a sense of strength and courage to the story that is nice to hear rather than just reading. Young, strong and daywalking on. Great short story that is fun, yet frightening. Lacey is a strong, intelligent female character that owns her power. Absolutely, I would recommend this audiobook to a friend. The Blood Curse Series in general is a great listening experience. Each character's story is unique and interesting and provokes such emotion. Ramsey's story is terrific! 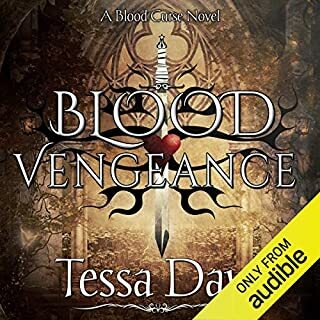 What other book might you compare Blood Vengeance to and why? There is no comparison to Blood Vengeance. Tessa's writing is unique. She makes us laugh, cry, scream, jump for joy and cheer for her characters in a way that is unlike other authors. Yes, and Eric Dove continues to bring depth of passion to his performances. He makes the characters come to life and gives the listener a good sense of who they are. Yes, of course. Tessa always illicits strong feelings in her books. Blood Vengeance was no different. There were strong reactions to what happens along the way. Keep 'em coming Tessa! If you haven't heard any of her stories yet, you are missing out! What did you love best about Blood Father? I loved learning more about Kagen and understanding his pain and torment. I also enjoyed seeing he and is brothers all working together as a team to save their father. I liked Eric's performance of Kagen and how well he expressed the range of emotions that the character had throughout the story. Eric makes you really feel the depth of Kagen's struggle. My reactions were all over the place! There were moments of sadness, celebration, fear and as always with Tessa's books, laughter at her quick wit. What a great story to hear on audiobook. There was so much going on and such highs and lows. This was a wonderful listening experience! Where does Dragons Realm rank among all the audiobooks you’ve listened to so far? Dragon's Realm ranks high among the audiobooks I've listened to. It has a diverse cast of characters and it was fun to hear the interpretations performed by Mikael Naramore. What was one of the most memorable moments of Dragons Realm? I enjoyed the surprise with Mathias and his true paternity. Icame unexpected and was an exciting moment in the story. I didn't have a favorite scene, but loved the interactions between Mina and Dante. What a great pairing! Her strength and determination were admirable and his love and protection of her despite his role were wonderful. No, I was not able to, but it drew me back as soon as possible when I had to stop. 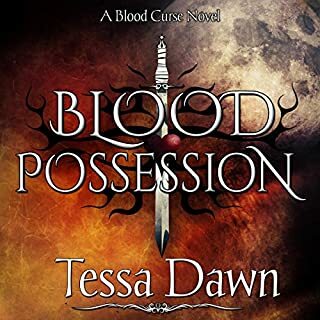 Great story by Tessa and good to see a different world and meet new characters even though I adore the Blood Curse series and family of players. Blood Redemption rates very high in the series. Tessa continues to give the listener more and more to take in and consider with each character she brings forth. What was one of the most memorable moments of Blood Redemption? I think the most memorable moments for me were those between Saber & Vanya. The pairing of light vs. dark and though opposites, there is still hope, and love. The scene with Saber about to be burned up by the sun and the depth of his fear, pain and psychosis in that moment. Yes, the previous scene elicited extreme reaction. Tessa and Eric's portrayal made one feel as if they were Saber going through that horror themself. Great writing! Wonderful conflict between light & dark, good and evil, love and hate, humanity, and identity. Most definitely! It is so deep and unique and incredible. Tessa really took the listener to another level, literally, and gives you an amazing story. I loved seeing Nachari escape his torture and rise to triumph! The whole situation was so unexpected and so terrifying and so intense. But seeing him fight his way back was awesome! Nachari,of course. He is so amazing a character and Eric performed him quite well. 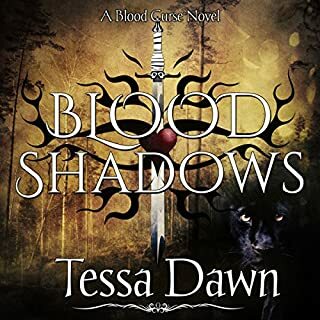 If you could take any character from Blood Shadows out to dinner, who would it be and why? Nachari, because he is so strong, smart, creative, and magical all around. Excellent story that keeps you hooked, keeps your emotions on edge, keeps you guessing and gives you the unexpected. Great job Tessa! If you could sum up Blood Possession in three words, what would they be? I liked how Eric performed Napoleon in demonstrating in sound both his power and his weakness. Great story once again. I loved finding out more about Napoleon's history and vulnerability. So glad to see him find his true destiny in Brooke as well. Excellent storytelling and whirlwind ride! If you could sum up Blood Awakening in three words, what would they be? 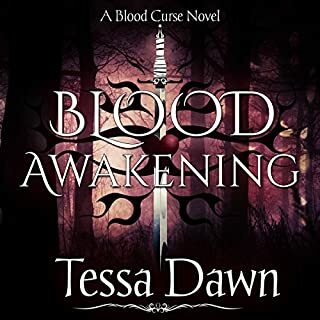 What other book might you compare Blood Awakening to and why? I dont think any other book compares to Blood Awakening. 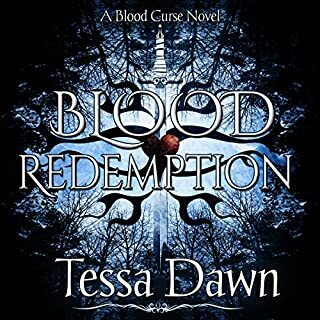 Tessa has written a very unique story that has contemporary elements and characters that I can relate to more than other books. 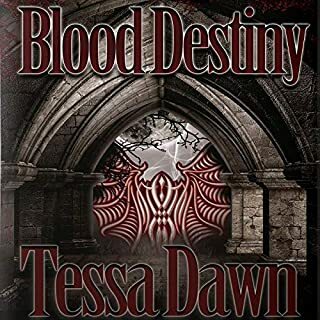 Yes, I listened to Blood Destiny read by Eric Dove. This one is just as good and even better due to the character of Marquis, who is a big presence. I definitely had extreme reactions to this book. Such surprises and areas where things happen that are unexpected, make you gasp, make you sigh with relief as well as smile with joy. 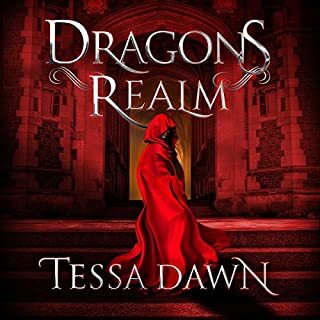 Another fantastic story written by Tessa Dawn! Highly recommended! Thrilling book - Fantastic listening experience! Yes, I would recommend this audiobook to a friend. It was a story that keeps you hooked. I thought it was modern and relevant and enjoyed how current it was. It's refreshing to listen to a vampire novel that is so sophisticated yet hip. I told my friends about how thrilling it is and recommended it with high, high marks. What I liked most about the book were the characters. Each character was was different and enjoyable in their own right. They had individual features to their personalities that were interesting and that kept me engaged. And even though it was dark, the light was able to shine through and balance the negative, leading to a happy ending and giving the listener a sigh of relief and feeling good. What does Eric Dove bring to the story that you wouldn’t experience if you just read the book? Eric Dove delivered very well throughout the book. His voice was smooth, his intonations appropriate and I enjoyed his accents. Listening to him tell the story was nice. He has a good style. Yes! Tessa gives you drama, mystery, love, laughter, fear, suspense, and happiness all rolled into one amazing book. Listening to this story you remain engaged and wondering what will happen next. I definitely laughed, gasped, and had both happy and sad tears. This story has everything! Great job Tessa Dawn! What an amazing storyteller!